HCM City (VNA) – Businesses with green production processes and products that are safe and environmentally friendly perform better, heard a workshop held in Ho Chi Minh City on August 9. 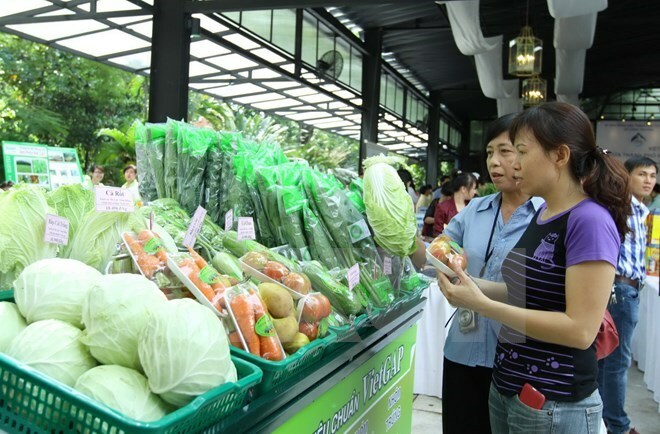 The workshop, held by the HCM City Food and Foodstuff Association and the city’s Investment and Trade Promotion Centre, highlighted green products as the way of the future. A Nielsen Vietnam survey shows that about 80 percent of consumers in Vietnam are willing to pay more for products made of environmentally friendly materials. About the same percentage are willing to pay more for goods without ingredients they don’t want. Green consumption and production towards sustainable development is a hot topic in many countries, including Vietnam. Environmentally friendly products are considered effective investments as they both benefit consumers’ health and minimise negative impacts on the environment, participants at the event heard. Food processing is one of the four key industries HCM City is focusing on developing. Director of the municipal Department of Industry and Trade Pham Thanh Kien said in recent years, the city has helped food processing companies apply new and advanced technologies to create high-quality products. Vu Thi Quyen, Deputy Director of HCM City’s Tropical Agricultural Research and Consultancy Centre, said policies for green agriculture are needed. She added another important factor is consistent quality of all steps, from production to consumption, especially in product origin control. It is urgent to form concentrated material supplying areas and forge connectivity from production to consumption of agricultural products that engages farmers, scientists and businesses. This will help build a sustainable farming chain for each livestock and plant variety through the application of standards throughout the chain, she said. Vice Chairman of the HCM City Food and Foodstuff Association Nguyen Phuc Khoa said green production will help enterprises develop sustainably, raise their prestige among consumers, protect the environment and promote sustainable growth of the national economy. However, the number of food companies using green production technologies remains modest due to obstacles in machinery, manufacturing process and material supplies, he admitted. The Government has approved a plan on agricultural restructuring towards higher added value and sustainable development, Khoa noted, adding that more solutions are needed to help producers practice environmentally friendly agriculture such as requiring greenhouse gas emissions permits, assisting the research and application of green technologies and imposing environmental protection taxes and fees.